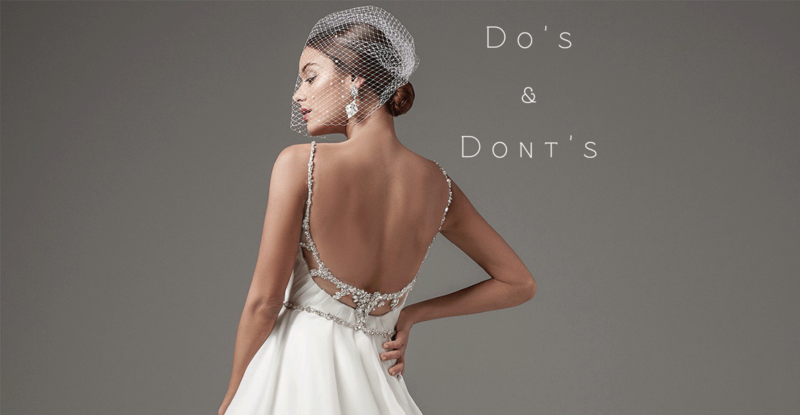 Our experts in bridal wear have gathered a few dos and don’ts to help you shop for your special bridal gown this season! Before you hit any salons, make sure to take a look at these important tips! DO: Bring two or three important people like your mom, grandmother and close friend with you when you are dress shopping. DON’T: Bring along your entire entourage and anyone else who wants to join the party! Having too many people while your dress shopping can leave you upset, lost and empty handed. DO: Come prepared with what bridal styles you are interested in looking at. Make sure to save images of gowns you like when surfing the net! DON’T: Bring too many images of styles with you! This will only leave you and your bridal consultant confused. DO: Always take a bridal appointment ahead of time. DON’T: Leave it up to fate. 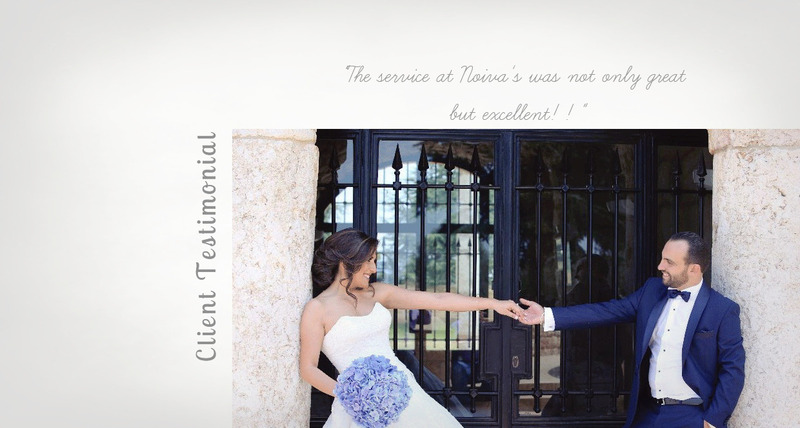 Some salons work on an appointment only basis and may not have a bridal consultant to help you when you walk in. DO: Be open minded to suggestions from your bridal stylist- they know their selection and what may look best on you. DON’T: Be stubborn and refuse a certain style or designer. Trying on different styles you may have never imagined on you might actually turn out to be the one! DO: Be honest with your price point and make sure gowns you try on are in that range. DON’T: Try on a dress that exceeds your price point! That will just leave you heartbroken if you end up loving it. DO: Give time for each bridal appointment, around 2 hours between each. DON’T: Be rushed with your time, and try on wedding dresses quickly. Take your time with each gown you try on and imagine yourself walking down the aisle. DO: Order your gown 6 to 8 months prior to your wedding date. DON’T: Wait till the very last minute to start looking for wedding gowns. DO: LOVE, love, love the dress you choose!! !